This entry was posted in Substance Abuse and tagged Managing Symptoms, Opioid, Pain Medication, Preventing Misuse on May 3, 2016 by Team Addiction Hope. OxyContin first emerged on the market in 1995 as an extremely powerful prescription pain medication. Because of its chemical structure, OxyContin’s mechanism of action is very similar to other opioid drugs such as codeine, morphine, hydrocodone and heroin. The opioid chemical in OxyContin is oxycodone, which is also the active ingredient in the pharmaceutical drugs Percocet and Percodan. What sets OxyContin apart from these other narcotic drugs is its time release formula. While Percocet is only effective at blocking pain for between 4 to 6 hours, a single pill of OxyContin can provide pain relief for 12 hours or more. For the most part, OxyContin is only prescribed to those experiencing severe chronic pain, and even then it is only prescribed when other pain medications are found to be ineffective. OxyContin was specifically designed to treat chronic pain, so it is usually not recommended for those suffering temporary pain, such as after having one’s wisdom teeth extracted or as a result of a minor injury. Like all opioid drugs, OxyContin carries the risk of addiction after prolonged use. However, when OxyContin is taken as directed by a doctor, the risk of becoming full-blown addicted is greatly reduced. It is important to draw a distinction between addiction and dependence. People who take OxyContin every day for an extended period can become dependent on the drug, even when it is taken responsibly. People experiencing withdrawals from an opioid dependence can still feel unpleasant side effects such as insomnia, cold flashes, nausea and muscle pain. The critical difference, however, is that people suffering from addiction experience an uncontrollable urge to seek out and continue using more OxyContin, in spite of the negative consequences. OxyContin dependence can easily be treated by a doctor simply by slowly weaning the person off of the drug. OxyContin addiction, on the other hand, is much harder to treat, and may require professional rehabilitation. Why Is OxyContin Commonly Abused? The fact OxyContin was designed as a time-released medication is both a blessing and a curse. Those in need of pain management treatment only need to take two OxyContin pills per day to receive 24-hours of pain relief. 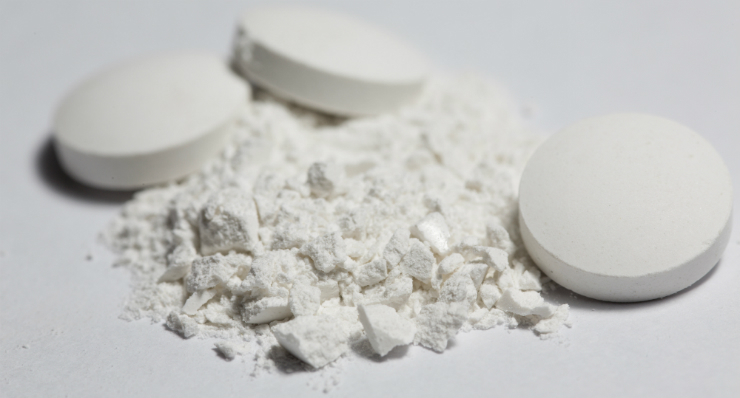 Addicts, however, have discovered that by crushing up OxyContin pills, they can work around the time release mechanism. When the crushed powder is either snorted, injected or swallowed, the addict experiences the full effect of the drug at once, resulting in a much stronger high. Is There A Safe Way To Take OxyContin? Just because OxyContin has a high potential for abuse doesn’t make it unsafe when taken responsibly. When discussing one’s chronic pain with a doctor, a patient will be evaluated for risk factors such as past issues with addiction or potential interactions with other drugs he or she may be taking. In addition, patients can monitor their own behaviors to make sure they aren’t developing addictive patterns, such hoarding their supply of OxyContin, or constantly counting how many pills they have left. Once patients’ pain has become manageable without the use of medication, they can speak with their doctors about slowly tapering off OxyContin use. This way, they reduce the risk of having any unpleasant withdrawal symptoms. There is no reason that one can’t safely take OxyContin to manage pain when it is prescribed by a doctor. Make sure to only use the drug as directed by a health care professional, and seek treatment at the first sign of addictive behavior.